3D printed end cheeks with swing out legs and waxed oak horizontals. The first 10 units are a special launch edition and will be shipped with hand finished and painted black endcheeks with inset white Korple logo on the legs. Subsequent models will be shipped with standard 3D printed sides with recessed black Korple logo on the legs. Fits all of the Korg Volca series synthesizers. Easily change between a flat desktop and a tilted ergonomic orientation. 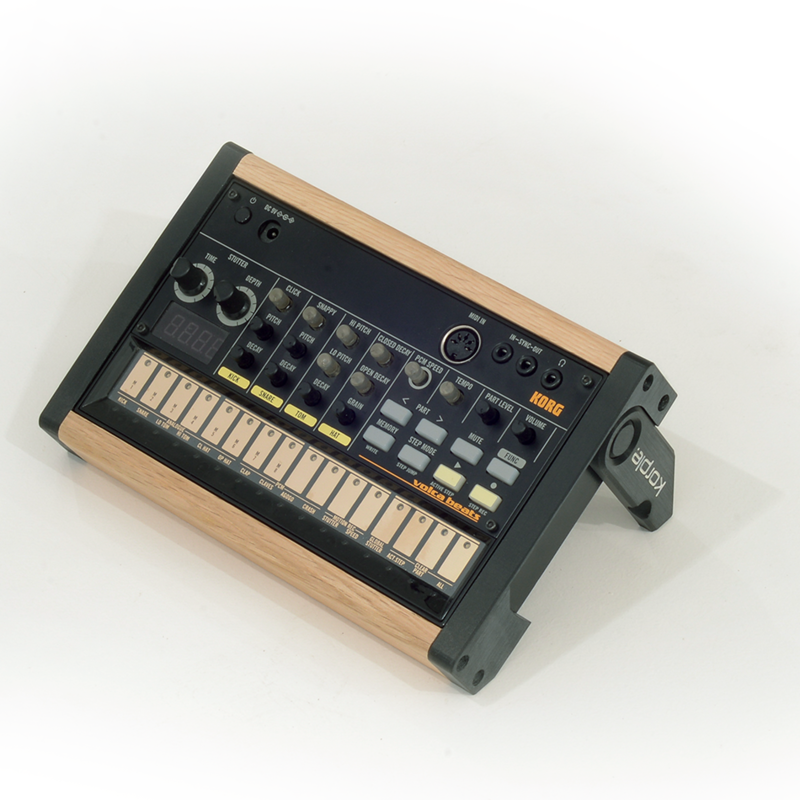 The Volca fits snugly into the case and is held by friction. Simply push the Volca out from underneath to remove.